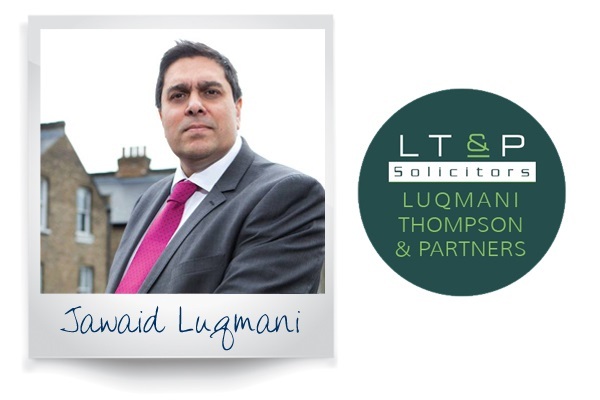 North London immigration and public law specialists, Luqmani Thompson and Partners, are no strangers to cloud- and electronic-working. Having used Quill’s Interactive software for almost 20 years, the practice is accustomed to accessing its core systems remotely via the internet and using advanced technology to run its business more efficiently. Jawaid Luqmani, Partner at Luqmani Thompson, explains how his firm benefits from Quill’s ongoing commitment to software development: “Quill’s investment in developing Interactive directly results in savings for us. Every task we perform in the software, be it setting up a new matter, logging disbursements, communicating with clients or anything else, is so simple that even I can do it! “In fact, it’s harder trying not to use the software properly. We’ve grown used to its ease of use and many time-saving features to such an extent that we’ve streamlined our support staff structure, reducing overheads in the process. As well as utilising Interactive to manage its matters and process its accounts, Luqmani Thompson handles all case-related documents by subscribing to Interactive Documents. These are add-in tools within Word and Outlook which closely link Interactive with the Microsoft Office suite. In Word, the top toolbar hosts additional options to ‘Open’, ‘Save’ or perform ‘Actions’ from Quill. Similarly, in Outlook there are ‘New Quill Email’, ‘Save to Case’ and ‘Login’ buttons located in the top toolbar. “Interactive’s so well integrated with Word and Outlook”, continues Jawaid. “We’ve created over 40 templates in Word for various stages of case workflow, and subdivided into immigration and public law. These templates cover all manner of common communications from bundles sent to court and client care letters to cost revisions relating to live matters and terms of business. “All of these templates display our logo and branding, so our own collateral works hand-in-glove with Interactive. This essentially means we have full case workflow assistance, being able to produce key documents from these regularly reviewed templates in next-to-no time. Commenting on the wider benefits of e-working, Jawaid concludes: “The brave new world is towards paperless storage. In a traditional paper-heavy environment, it’s a notorious pain retrieving files from archive. The other issue is the waste of valuable office space which, let’s face it, doesn’t come cheap anywhere these days. By freeing up this space, it can be put to alternative uses and your money better spent.